← Your Health Insurance Claim – DENIED!!! In a previous post, I talked about making sure you get the correct prescriptions filled. 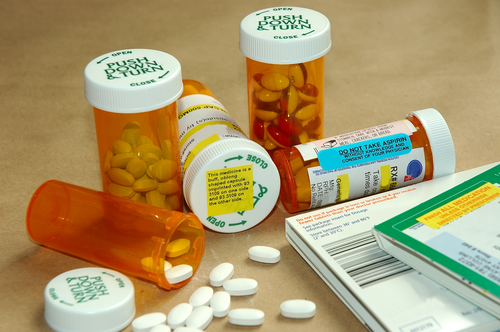 Medication errors can range from a doctor prescribing the wrong medicine to a pharmacy filling the wrong prescription. Now, I would like to spend a few minutes explaining the importance of not taking (or being prescribed) duplicate medications. At first, this doesn’t seem like it would be a widespread problem—but in actuality, duplicate medication consumption is fairly common. Here is a common scenario: when a patient sees two or more doctors, both doctors may prescribe medication that treats the same condition. If each of these doctors thinks they are the only provider treating the condition, this can result in the patient double dosing. The brand name of these medications may be different, but they both contain the same active ingredients. Anybody who is seeing multiple doctors or using more than one pharmacy is at risk for medication duplication. Recently, I identified a duplication situation in one of my patients who lives in a group home. This patient was getting duplicate medications filled because they were being prescribed by more than one physician. There can be negative side effects from taking duplicate medications. For example, if you are regularly taking 2 medications that contain acetaminophen (Tylenol), it can be harmful to your liver. On a positive note, it is easy to make sure you or a loved one is not double dosing. Keep a copy of your medication list with you at all times. If you use a smart phone or tablet – email it to yourself and put the email in an easy-to-find folder, so you can access it at any time. By all means, always use the same pharmacy! This allows the pharmacist to check for duplications or drug interactions. Make sure your physician sees your medication list with every visit. It is best to have one main doctor that coordinates your care. This doctor can keep track of the medications prescribed by other doctors or specialists. Make sure to share this list with every physician you see. You should bring it with every visit – do not assume that your most recent copy is in the chart. When your physician prescribes a medication, ask him/her what it is for. Write it down next to the Rx on your list. If you see a duplicate medication or one that is supposed to treat the same thing – ASK your physician if he meant to order it. Your pharmacist can also help with this. Review all medications with your primary physician at least once a year. Ask the pharmacist to run your medication list through a drug interactions database to identify potential problems, especially if you’re taking five or more drugs. Learn about your medications from your physician or pharmacist or nurse. The internet is not always 100% accurate. We will be expanding pharmaceutical topics in upcoming blog posts, as well as polypharmacy. Please contact MVLNC if you have concerns or comments about this topic. We would love to hear from you! This entry was posted in Clinical Corner, General, Patient Advocacy, Private Healthcare Advocate, Public Health Concerns, Senior Care Management, Uncategorized. Bookmark the permalink.